“We’re delighted to tell you about The African Renaissance, an experiential 5 day event and exhibition that provides a 360° exploration of the socio-cultural dynamics at the heart of the modern pan-african way of life.” This is the message Africanews.it received from the Royal African Society. 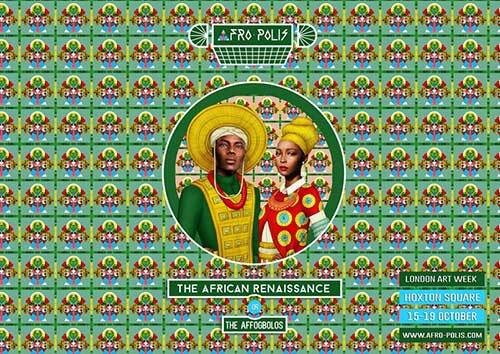 AFRO-POLIS, is inviting tastemakers, cool kids and African dandies, to this event offering a synthetic, multimedia entity of art, food, design, music and fashion. A rich and stimulating experience, it will encompass an exhibition, a dinning experience, a Pop-Up concept store and will fuse talks, workshops, live performances and much more.